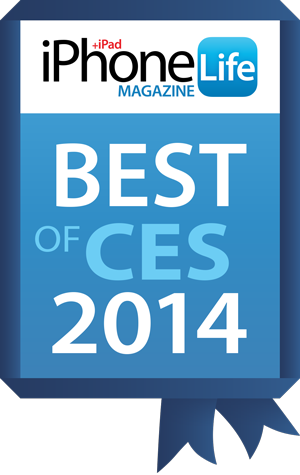 iPhone Life magazine's Best of CES Award Winners! The Consumer Electronics Show (CES) is one of the largest tech shows in the world, and it serves as a yearly marketplace for future and innovative technology. The iPhone Life team scoured the show floor—all two million square feet of it—for genius iOS-related gadgets, some of which are already out, and some that will be released later this year. A very special thanks goes out to our brave and dedicated bloggers, Nate Adcock, Todd Bernhard, Siva Om, and Becca Ludlum, who tirelessly wandered every corner of the show looking for the best of the best. Without further ado, here are the products that received iPhone Life magazine’s “Best of CES 2014” award. Enjoy! This portable practice guitar stick has real strings, a wireless MIDI interface, and astounding accompanying apps that incorporate video tutorials and practice sessions. Rock on! 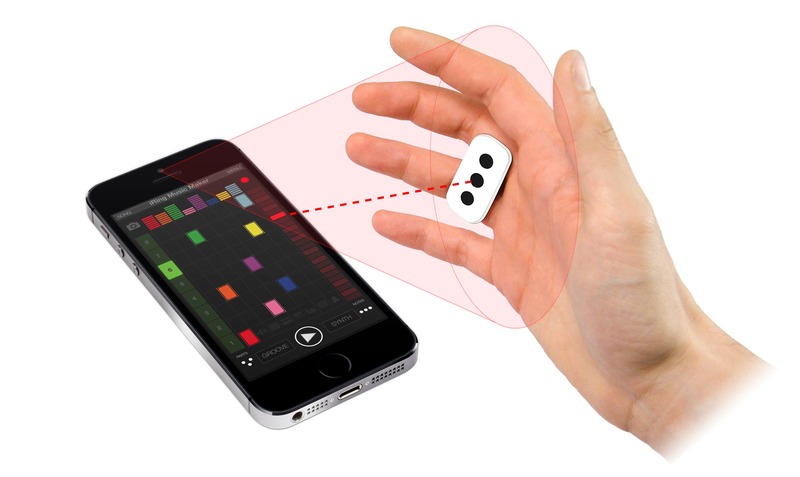 The iRing is a double-sided ring that you use to control music loops and sounds on your iPad through special movements and gestures. It’s like being a Jedi DJ! 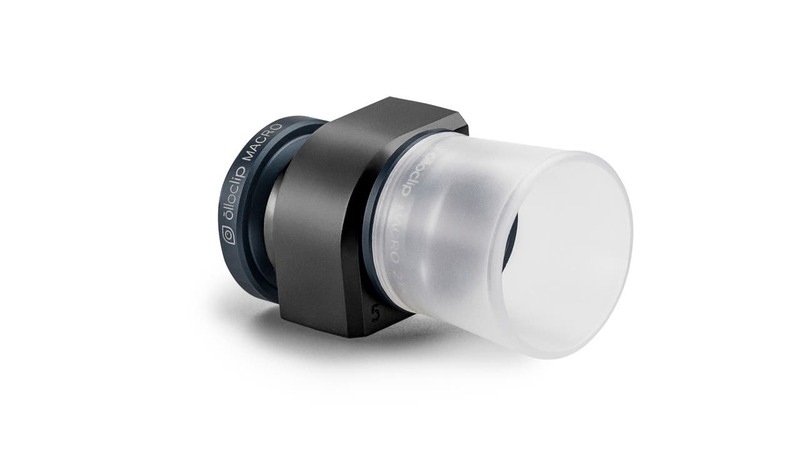 Olloclip has been leading the market in iPhoneography lenses since its breakthrough on Kickstarter a few years ago. Their new stellar 3-in-1 lens set is designed for taking super-sharp close-up shots. The iZZi Slim is perfect for iPhoneographers on the go. The case has four lens options: 2X Telephoto, Macro, Wide Angle, and Fisheye. Switching between lenses is as easy as turning the wheel. This sleek and elegant stand is beautifully engineered and comes with a proprietary case that easily docks for fast charging in portrait or landscape mode. Don’t have enough outlets to charge your devices? Fear not! 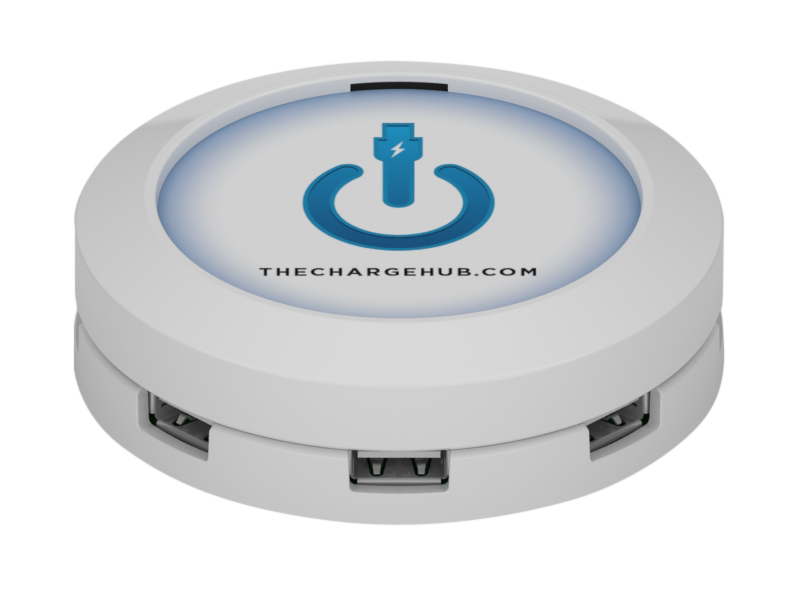 This little guy can charge seven devices at once, without losing charging speed on any device that’s connected. 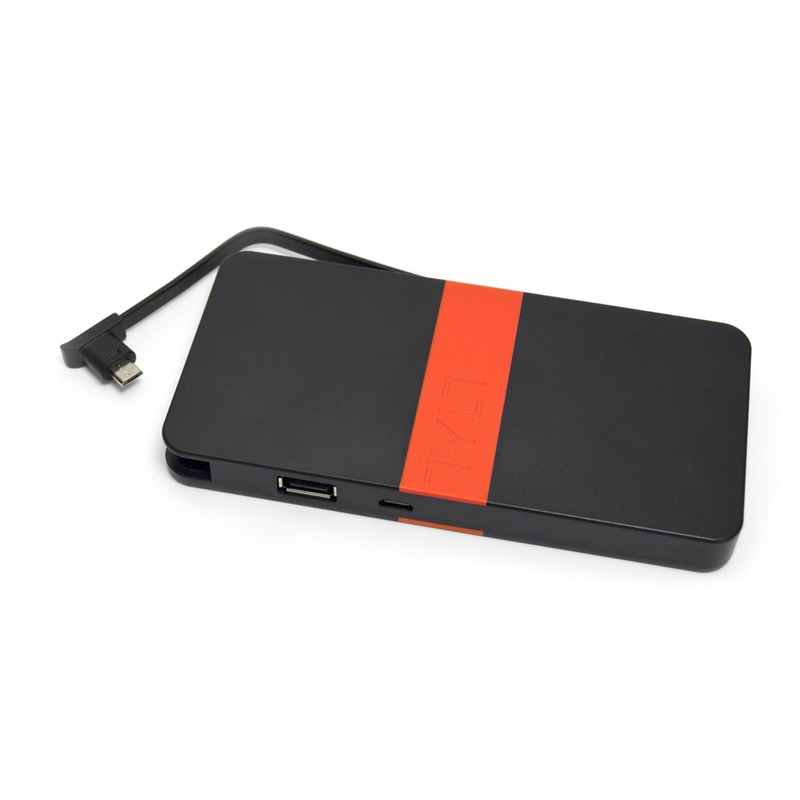 TYLT continues its reputation for making stylish mobile accessories with the Energi 5k Battery Pack. This small unit has enough juice to triple the battery capacity of your iPhone! I wish all robots were this charming. 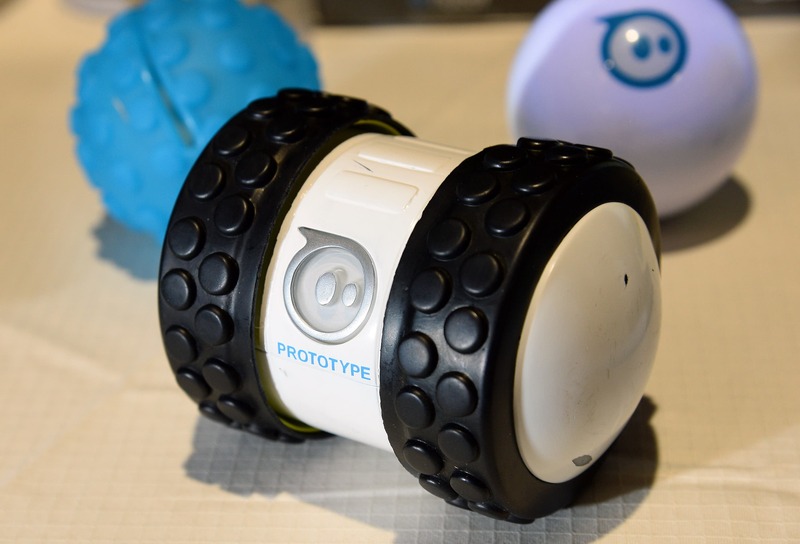 ROMO is designed to help kids learn to code, starting with simple commands that move the robot around, and evolving to more complex behaviors. This genius little robot—roughly the width of a quarter—can follow lines that you either draw with a black marker or trace on the surface of your iPad. The makers are currently building apps and board games for it. 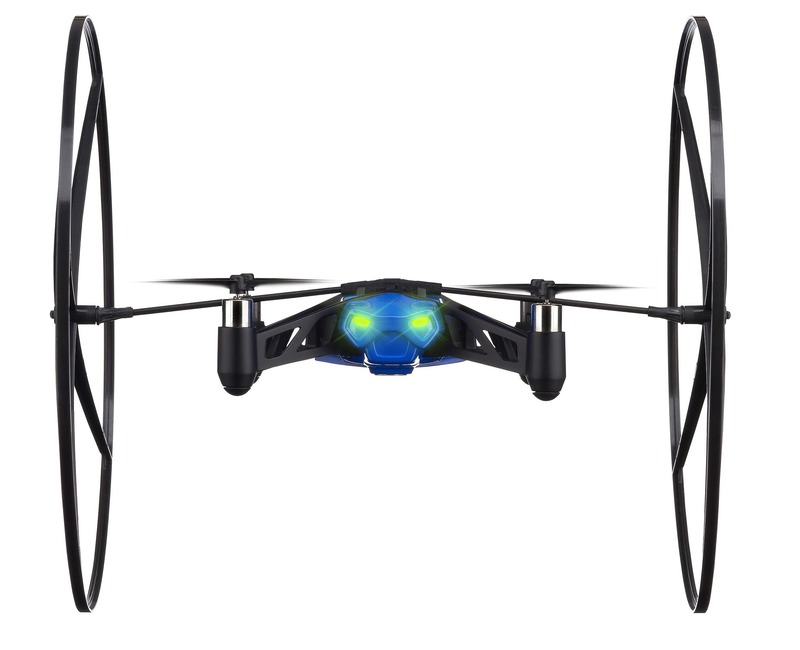 The MiniDrone is a follow-up to Parrot’s popular A.R. Drone 2.0. It’s smaller and more stable, and whole lot of fun to play with. It also features removable wheels that let it roll along and climb any surface. 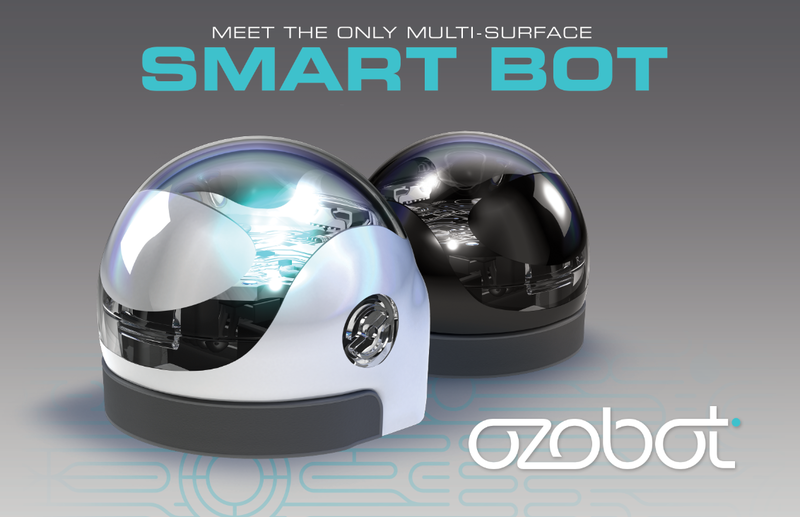 The Sphero 2B is a fun remote-controlled vehicle. 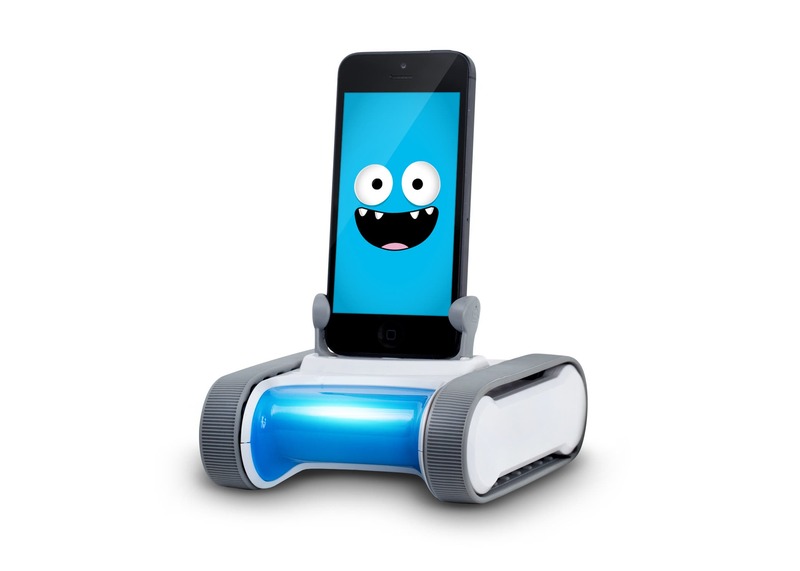 Like the original Sphero, the 2B is controlled by an app on your iPhone. The main difference is speed—the 2B is built for it! 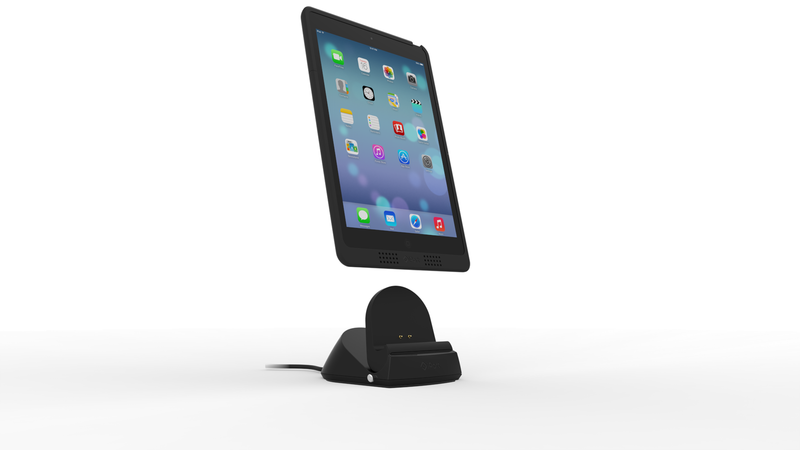 The Gravitas is the iPhone and iPad stand that Apple would have built. 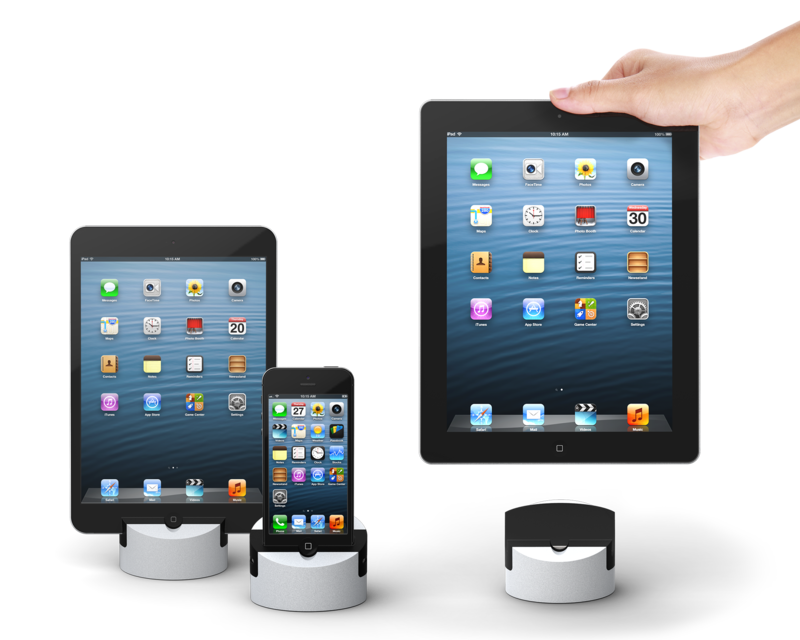 At 2.5 lbs., it’s sturdy enough to securely carry and charge any iDevice. And it looks good, too! 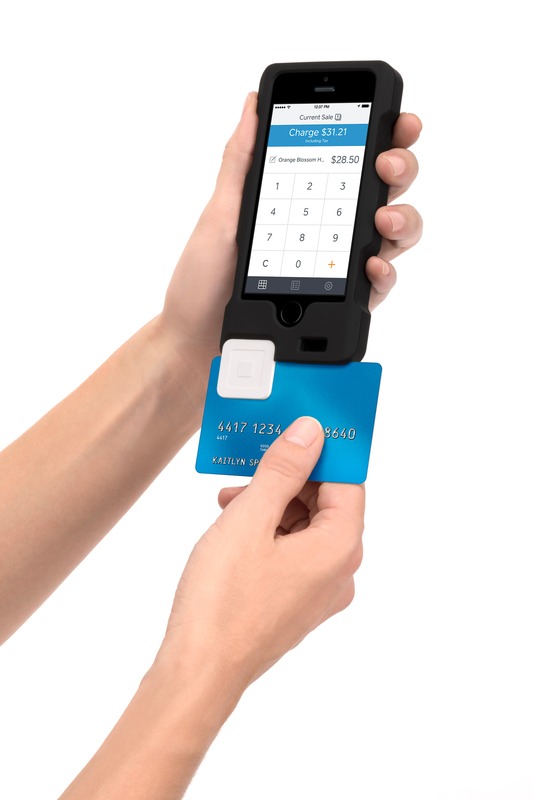 For businesses using the Square Card Reader, this case is the perfect add-on. It’s protective and well-made, and includes a slot in the back to store the Square Reader when you’re not using it. 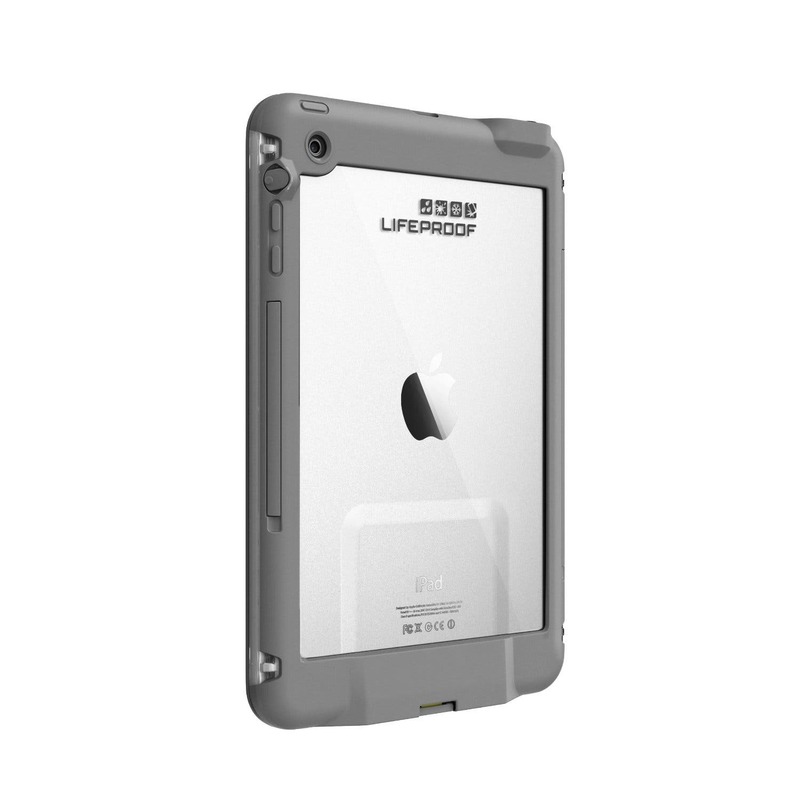 Breaking away from their traditional waterproof designs, LifeProof created the nüüd case for iPad mini. It features the same protective, durable, and slim design, but with convenient open access to the screen. 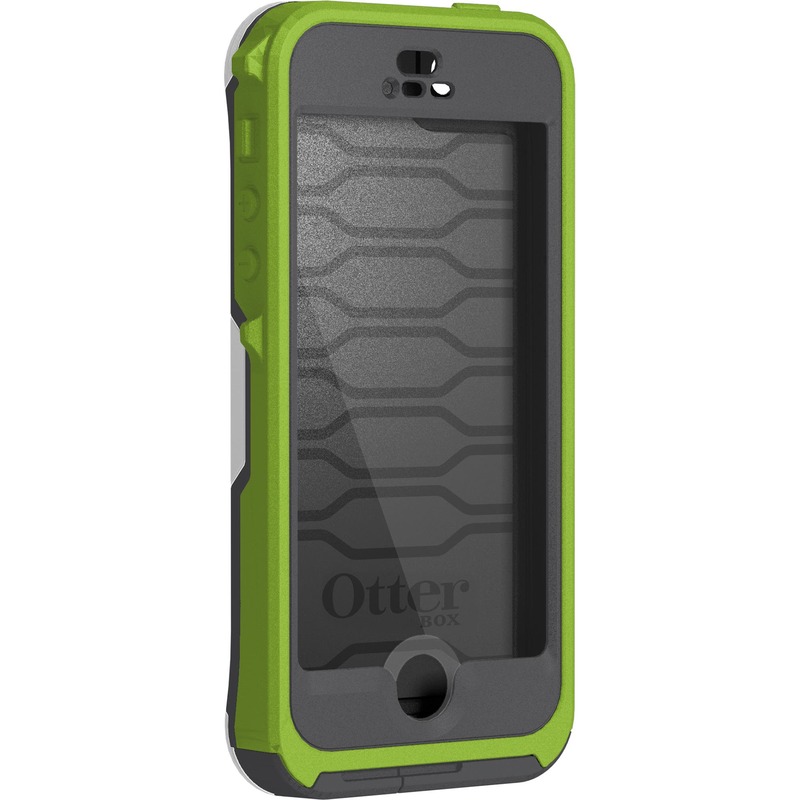 This two-piece case draws from LifeProof’s style and keeps Otterbox’s renowned ruggedness. Slim, protective, and fully submergible up to six feet. Who says waterproof cases have to be bulky? 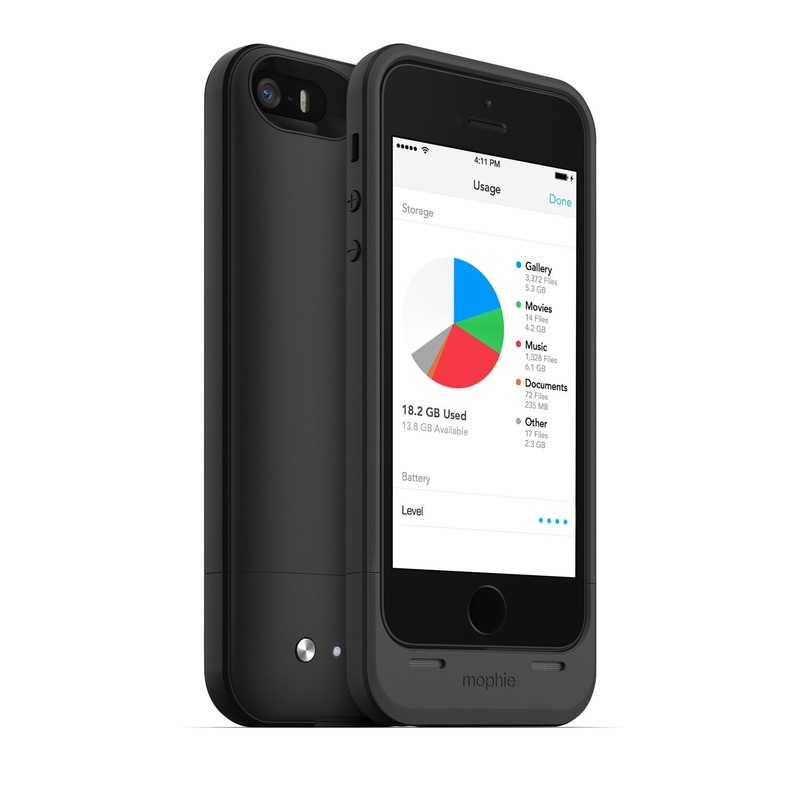 Mophie has managed to reach the holy grail of iPhone add-ons: more built-in storage. This battery case has enough juice for one full battery charge, and comes with 16GB or 32GB of additional memory. 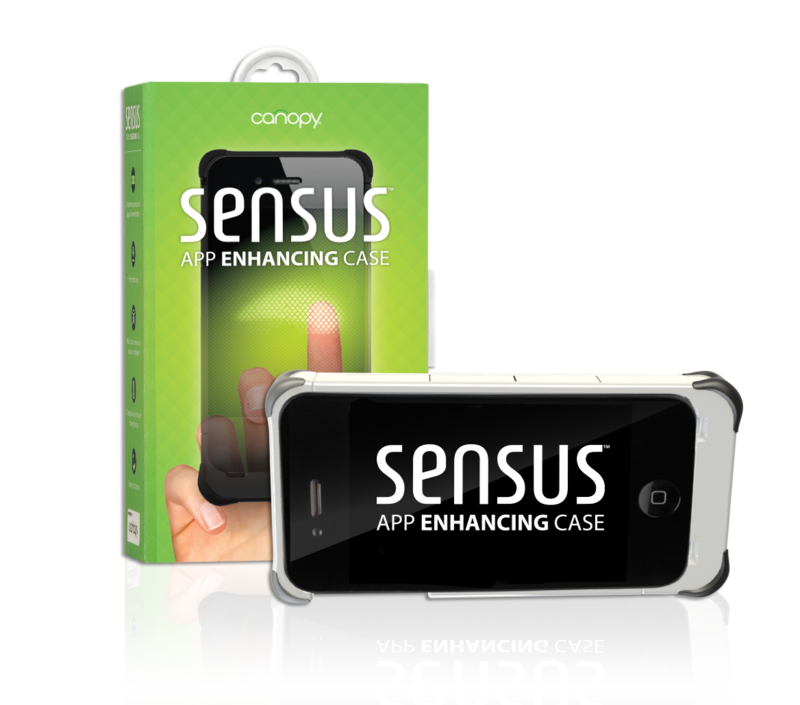 This innovative case can sense your touch through the sides and back of the case, which opens up a world of possibilities for how we interact with games and apps. 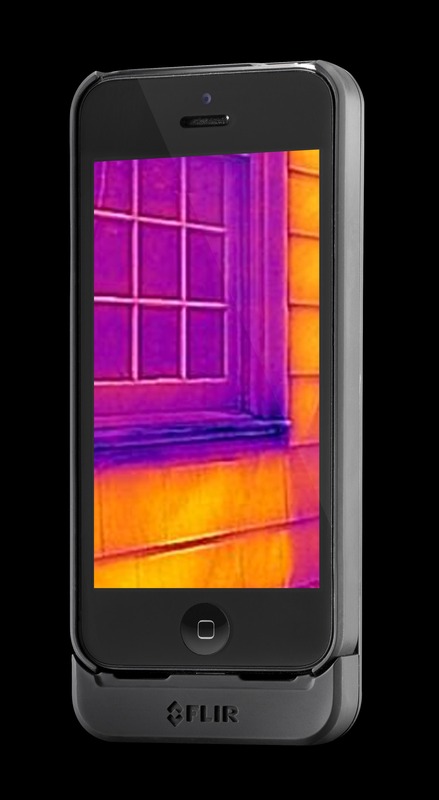 This breakthrough case uses thermal imaging to show you colorful graphics of the heat sources around you—even in complete darkness! It’s an original solution that comes in handy for outdoor activities, home repairs, and more. 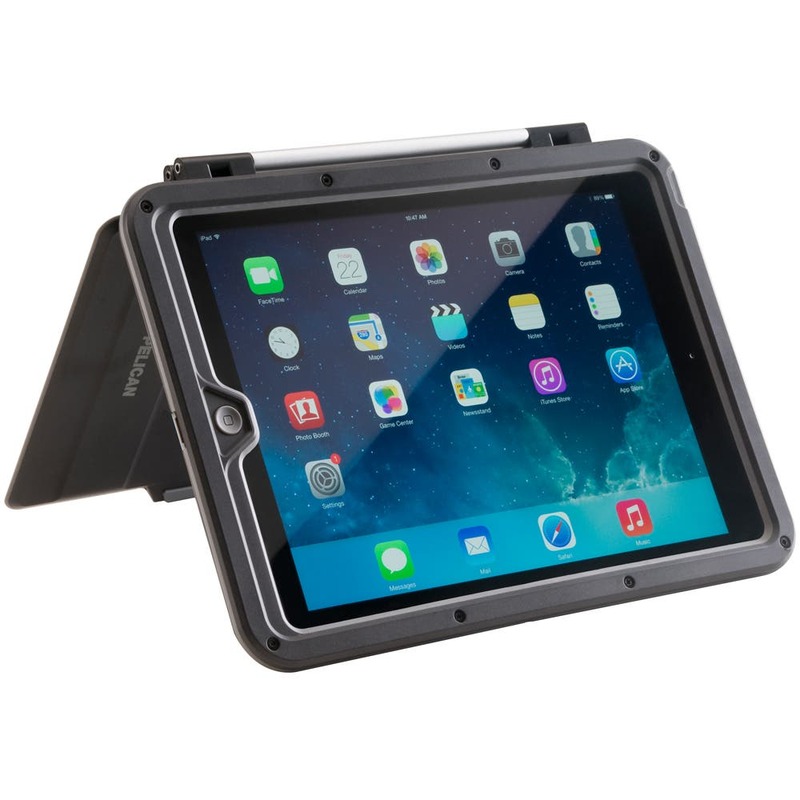 This rugged and versatile iPad case is perfect for when you need extreme protection. It’s water resistant and protects against hard drops. Did we mention it’s guaranteed for life? These stylish headphones offer the sound quality of higher-end units without the premium price. 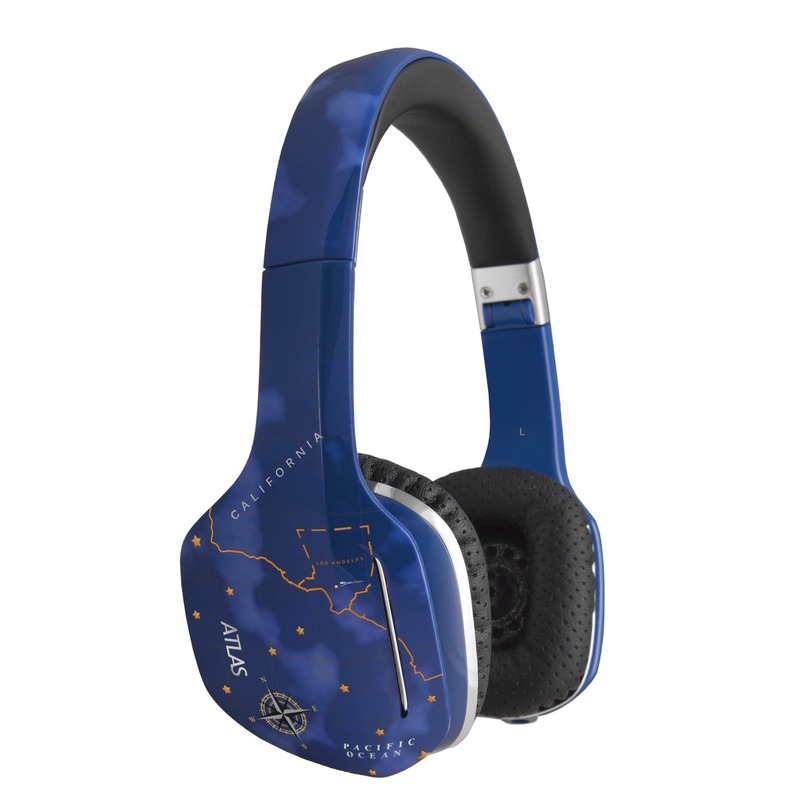 Featuring an on-ear design that’s comfortable and stable, these headphones come in five elegant designs. The children of Bob Marley know a thing or two about sound. 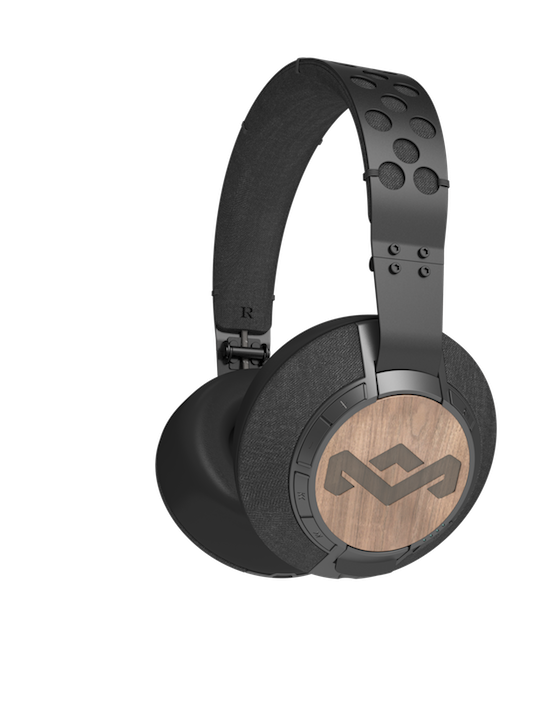 The high-performance Liberate XLBT Headphones with Bluetooth connectivity are made with organic cotton, recycled hemp, and FSC-certified wood, among other eco-friendly materials. Looking for a portable speaker that’s practically indestructible and boasts a 40-hour battery life? Here you have it. 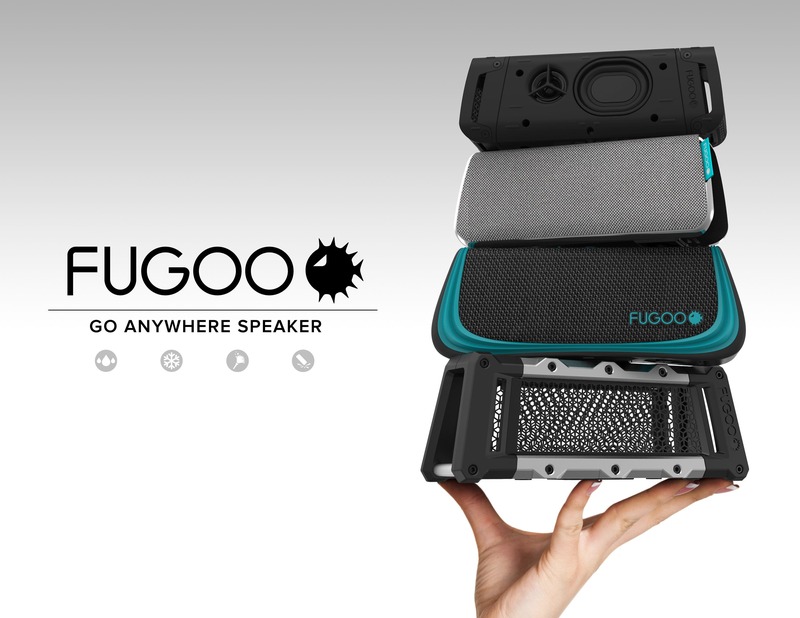 The beautiful Fugoo Tough not only sounds impressive—it’s built to last. 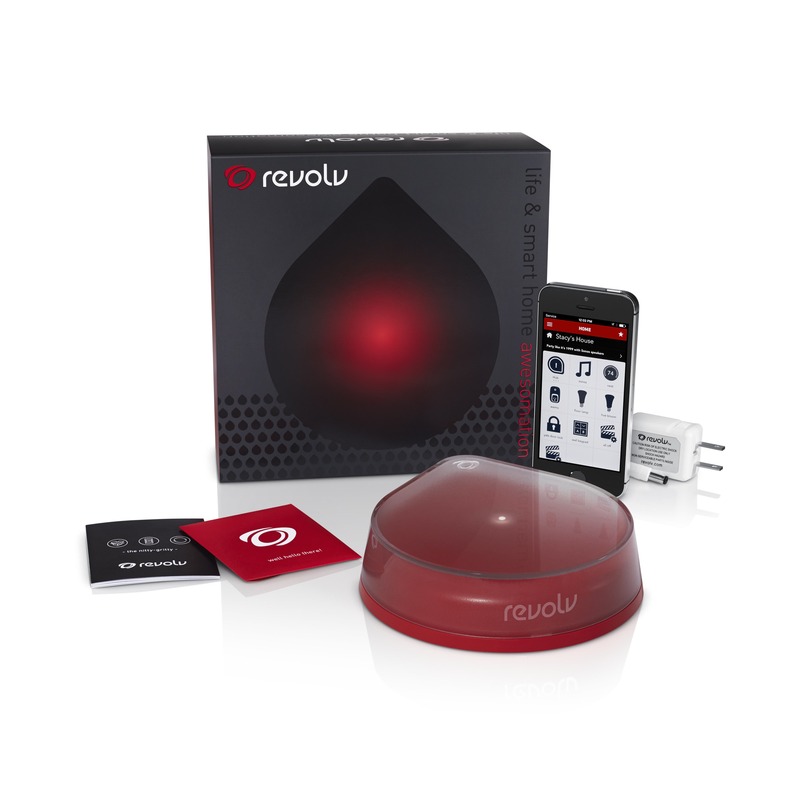 Revolv takes “smart” to another level—it connects the functionality of all your smart appliances to create the ultimate experience in home automation. Lights, thermostat, locks, and more—it’s all controlled from the palm of your hand. 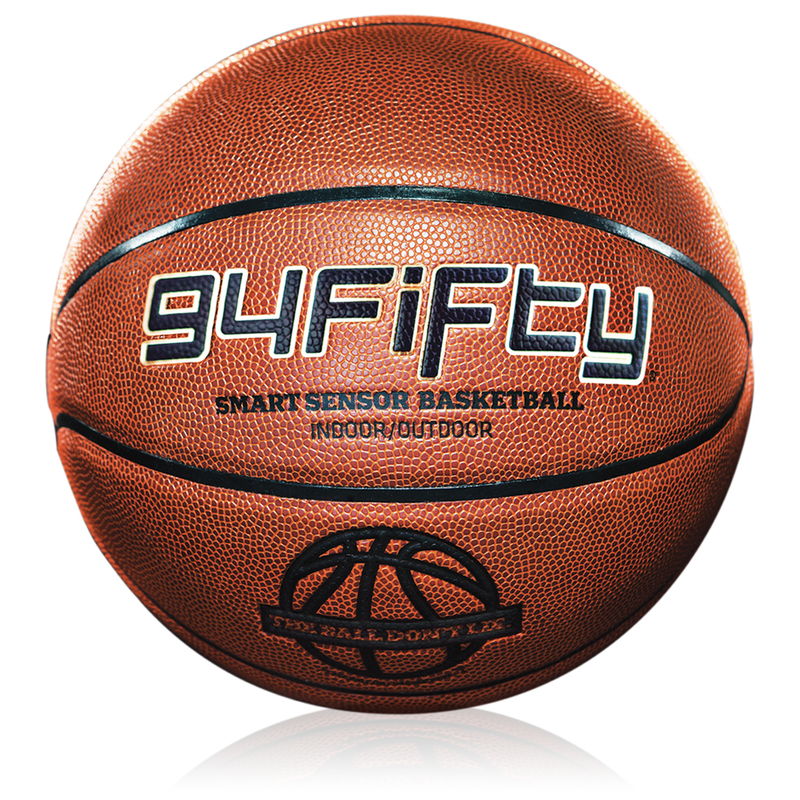 Take your game to another level with this Bluetooth-enabled basketball from 94Fifty. The accompanying app gives you feedback on the force, speed, height, and velocity of the ball. Watch out, LeBron! 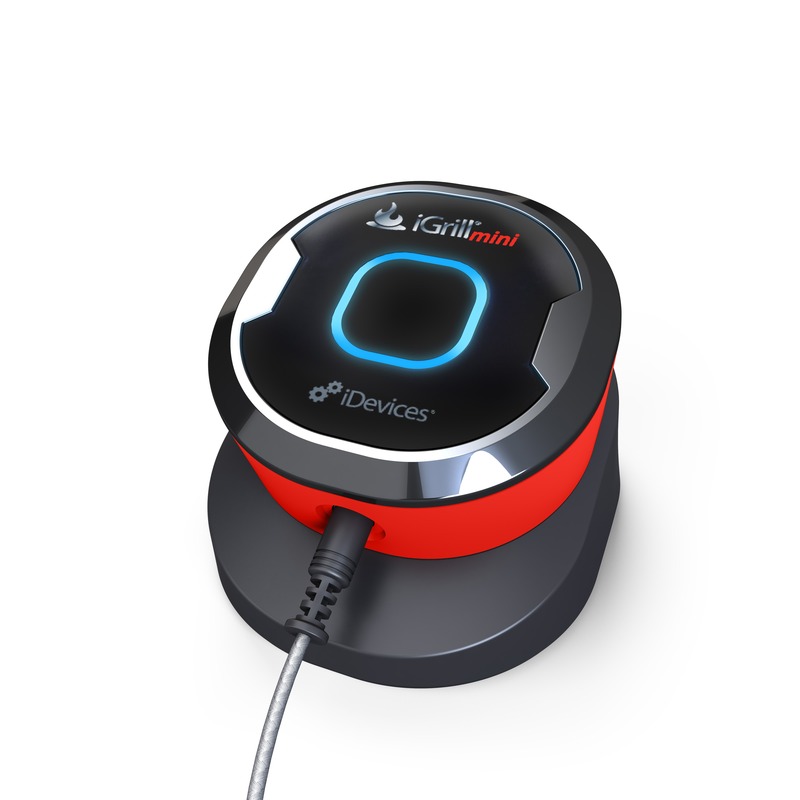 This Bluetooth-enabled smart thermometer helps you take the guesswork out of cooking. You can check the temperature of your food through the app, and unless you’re cooking a Roman feast, the 150-hour battery life is more than you’ll ever need. For those who prefer the tactile feedback of a keyboard, this case is for you. The Typo case adds a Blackberry-like keyboard to your iPhone that connects via Bluetooth, and doesn’t cover up any part of the screen. 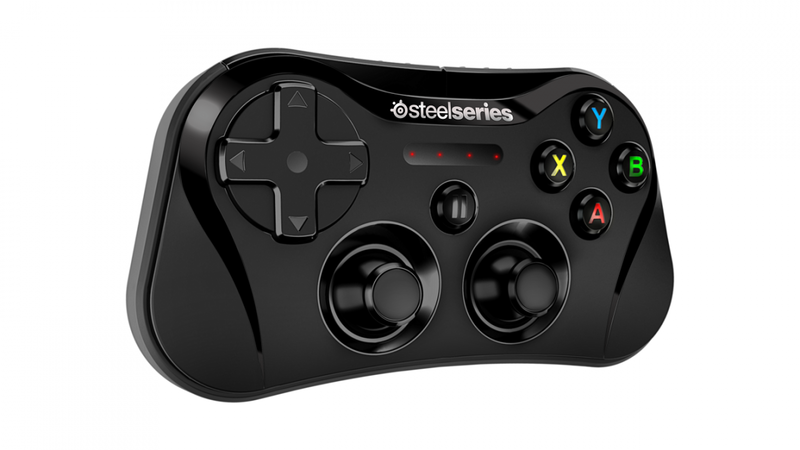 This wireless controller is perfect for the hard-core mobile gamer. The buttons are designed the same way as the traditional controllers for Xbox and PlayStation consoles. Time to level up! 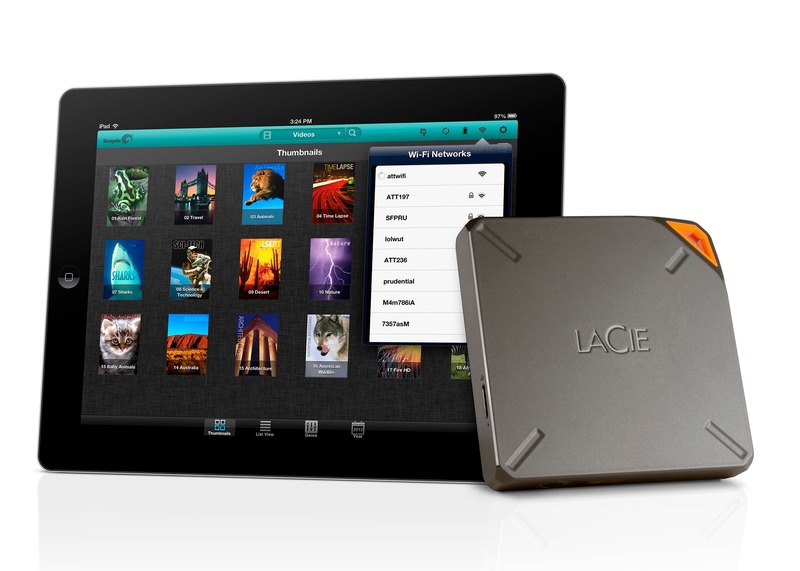 With the LaCie FUEL, you’ll never have to worry about running out of space on your iPad. This portable Wi-Fi hotspot boasts a 1 TB hard drive, wirelessly syncing for easy access to your movies, pictures, and anything else you want to save. This pioneering gadget turns mundane pictures into stunning 3D masterpieces. It works by capturing information from a couple of angles, so the finished piece more closely resembles what you experience in real life. Did you know that your iPhone is most likely dirtier than a toilet seat? 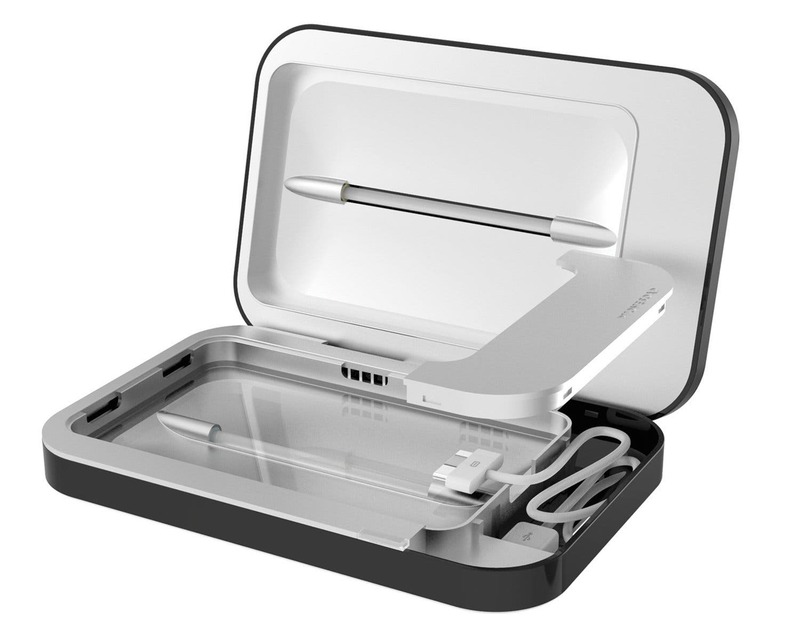 The PhoneSoap Charger gives your phone a safe place to rest for the night while charging and sanitizing it with powerful UV-C lamps. 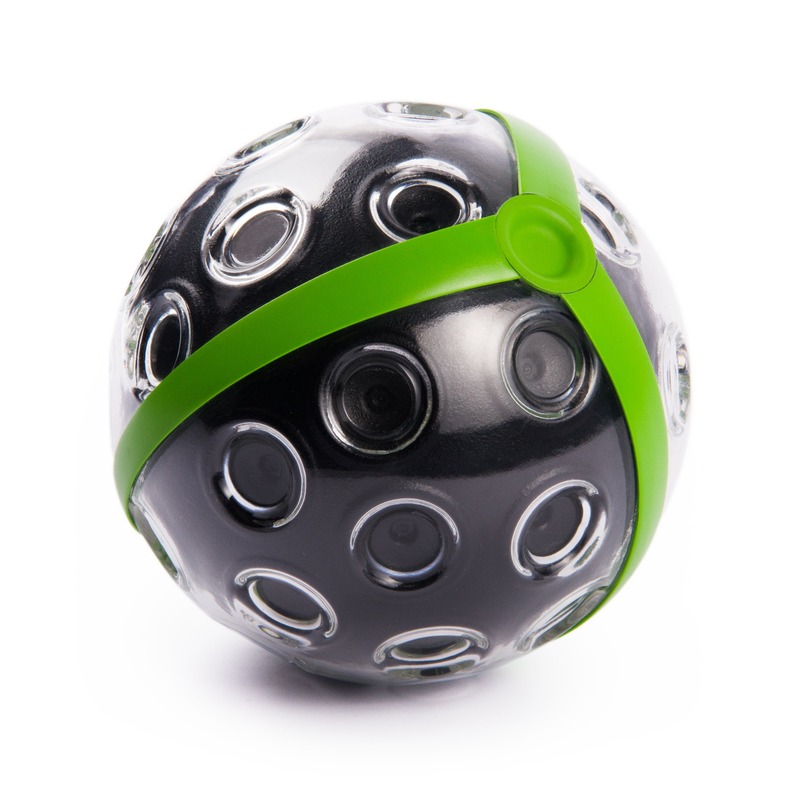 The Panono is a ball covered with 36 wide-angle cameras. 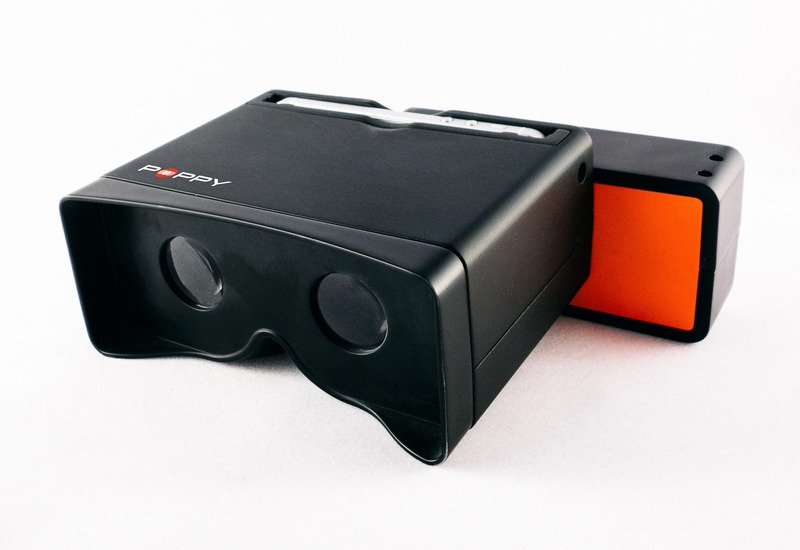 Throw it into the air to capture mind-boggling 360-degree images that can be spatially enjoyed through the connected app—just rotate your device in any direction. Alex is marketing consultant, regular contributor to the Huffington Post, and the host of a web series called Social Good Now, where he highlights social issues through short animated videos. Formerly, he was a Marketing Exec at Cisco, and Editor in Chief of iPhone Life magazine. His projects have been featured on TEDx Houston, CNN, TIME, ABC News, CBS, Univision, Fast Company, and the Huffington Post.